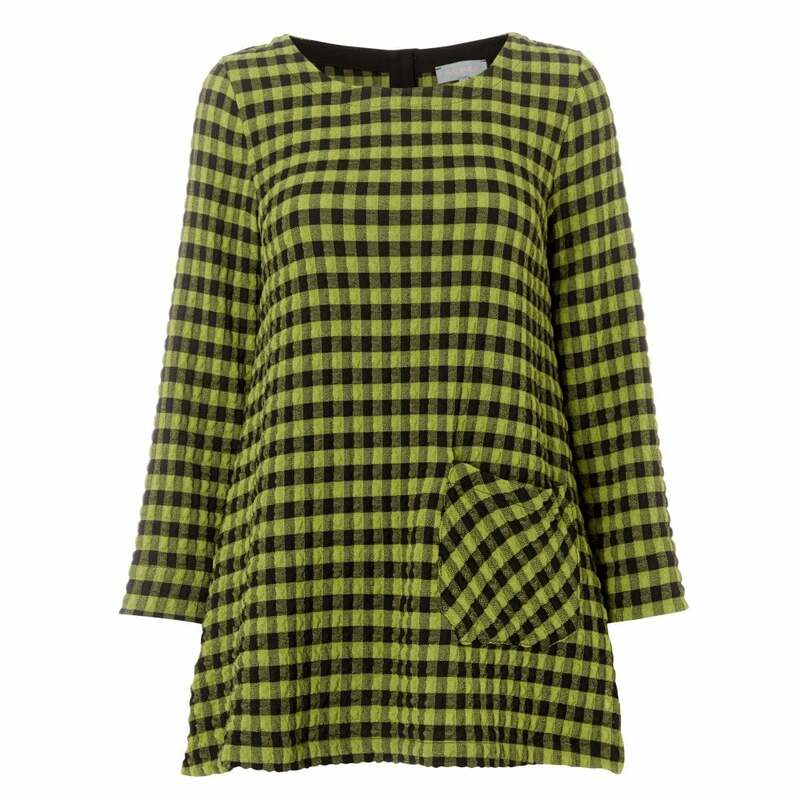 Designed in an on-trend crinkle gingham this top is sure to be a favourite this season. With a neat, boxy fit, a softly scooped neck and loose fitting sleeves this is perfect for everyday wear. Extra detail is added with the split hem detail and three button placket at the back of the neck.